London never loses its lure as the most eventful of places to visit. This year offers even more reasons for a trip to the metropolis. Culture, as always, is a big draw. The most enjoyable exhibitions and stage shows are those which challenge preconceptions and provoke new ideas. Apart from theatrical attractions like King Lear at the Olivier directed by Sam Mendes, and art exhibitions such as the 120 Matisse works at Tate Modern or The National Gallery’s “sumptuously sensual wonderful portraits ” by Veronese (Magnificence in Renaissance Venice), the event that monopolises my imagination is a major exhibition at the British Museum. “Vikings: life and legend” tells the story of Viking expansion from Scandinavia from the eighth century onwards. If only because of the permanent mark made by these summer sailors on the people and place of Britain and Ireland, not to mention the hyperbole surrounding the show itself (“one of the most tantalising cultural highlights of the new season ”), I also have a particular reason of kinship to see it. The popularity and influence of Scandinavia on our culture should not surprise anyone. For most of the past decade, our hearts and minds have been witnessing an invasion of modern Nordic literature and film. Perhaps the aura of modern bleakness - Nordic Noir - has taken its inspiration from the Swedish film director Ingmar Bergman. Authors like Jo Nesbo, Stieg Larsson, Henning Mankell, Lars Keplar, and Jonas Jonasson; and television dramas like the crime fiction Wallander, The Killing (starring Sofie Gråbøl and her famous Faroese jumpers), and continuing with The Bridge and also the political drama of Borgen, have permeated seamlessly into our deep subconscious. National Museums Scotland photo - Hunterston Brooch Made of gold, silver and amber, Ayrshire. In parallel with the British Museum’s ability to spotlight their creativity and to expose wrongful impressions of the Vikings, this essay considers another positive imprint of Viking culture on our islands - its enduring cultural impact on place-names and surnames. At the beginning of the Christian era, the Irish Gaelic term Cúige Uladh (literally meaning the fifth of the Ulstermen) was the northern Province of Ireland. Cúig cúigí na hÉireann being all five of the Provinces, or Ireland as a total entity. Ulster was divided from the “Fifths” (or provinces/divisions) of Connacht and Meath by a line running from the Drownes River near Bundoran in County Donegal to the estuary of the Boyne at Drogheda. The historian Bardon adds that Ulster’s rulers were called the Ulaidh. This was a tribal name recorded as Voluntii about 150AD by Ptolemy of Alexandria in Egypt in his geography of Ireland. Irish Tribes website corroborates Bardon’s account, adding that the capital was Eamhain Mhacha, Navan Fort. It is one of Ireland’s most important historic monuments and, as its ancient capital, it was the seat of the Kings of Ulster. Archaeological excavations have revealed that the construction of the 40 metre mound dates to 95 BC. The Vikings called the land of the Ulaidh Uladzstir, mixing their pronunciation with the Irish Gaelic word tír, which means country or land. When the Normans and English invaded in the twelfth century, they adopted the Viking version. As Bardon explains, Uladztir became anglicised to Ulster. Research carried out at Queens University Belfast  corroborates the point, concluding that the form of the place-name Ulster originates in Norse. The same influence is reflected in various surnames both in Scotland and in Ireland. These include McLaughlin (MacLachlannach , son of a Dane), McDowell (Mac Dubh Ghall, son of a dark stranger/foreigner ), Toner (from the Old Norse personal name Tomar), McIvor (from the Old Norse personal name Ivarr) and various others. One of those others is this author’s surname. There are more members of the clan McSorley in Scotland than live in Ireland. In Ireland, McSorley is almost exclusive to Ulster and especially to Tyrone . 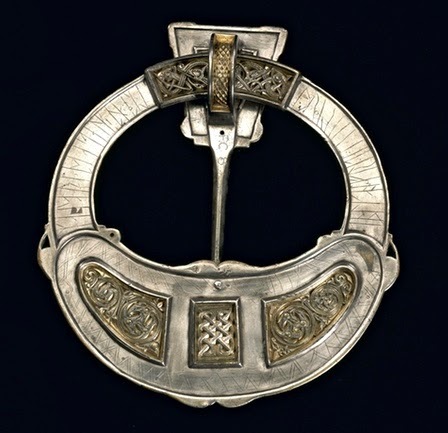 Bell adds that most originate from Clan Donald MacSorleys who came as galloglasses between the 13th and late 16th centuries – one of the earliest galloglass families to settle in Ulster . The adjective galloglass means heavily-armed mercenary soldiers, originally Hebridian (Gaelic-Norse), from Irish gall (foreigner) and óglach (young warrior-servant). Incidental questions arise about the accuracy in contemporary usage of the the term Ulster Scots. Anglicised as Somerled and Gaelicised as MacSomhairle, the name derives from the Old Norse, sumor lida, summer sailor, a synonym for Viking . An interesting example of the name’s anglicised version exists in County Antrim. The title of Earl of Antrim has been created twice for members of the MacDonnell family. The clan, originally of Scottish origins, descends from Sorley Boy MacDonnell, who established the family in County Antrim. These summer sailors provided an infrequent example, as I am informed, of Roman Catholic landed gentry in Ireland or Britain. The ancestral seat of the Earls of Antrim is Glenarm Castle , also the venue for Northern Ireland’s only Scottish Highland Games every July. The 13th Earl of Antrim’s (1911-1977) full name was Randal St. John Somerled (pronounced by the family as Sorley) McDonnell. Alexander Randal Mark McDonnell (born 1935) is the 14th Earl of Antrim. The heir apparent is his son, Randal Alexander St John McDonnell, Viscount Dunluce (born 1967). The heir apparent's heir apparent is his son the Hon. Alexander David Somerled McDonnell (b. 2006) . To make the trail even more intriguing, the McSorley surname has direct connections to place-names in both in Scotland and also in England. The Scottish tourist board describes Portree as the main town on the Isle of Skye, a bustling port and a thriving cultural centre. Like all places in Scotland, place-names are signed bilingually, in Scots Gaelic and also in English. 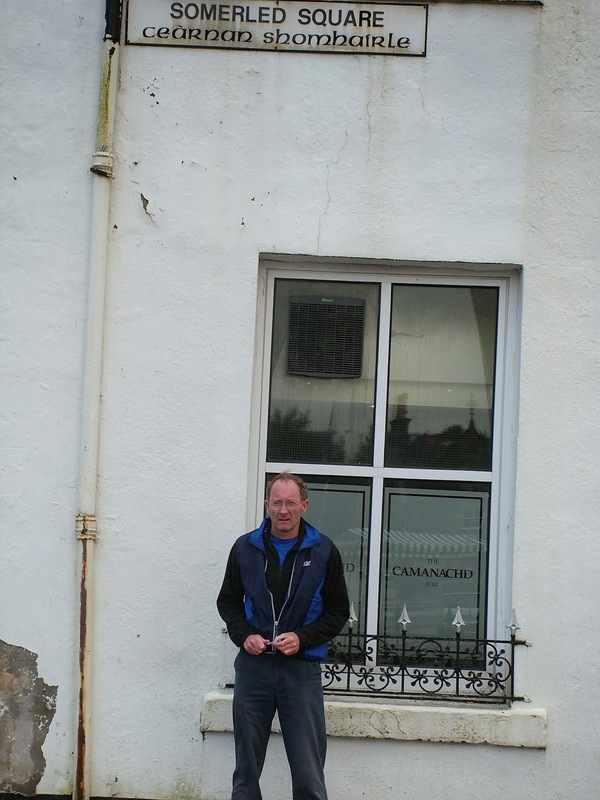 Portree’s central hub, its town square, carries the name in English as Somerled Square. 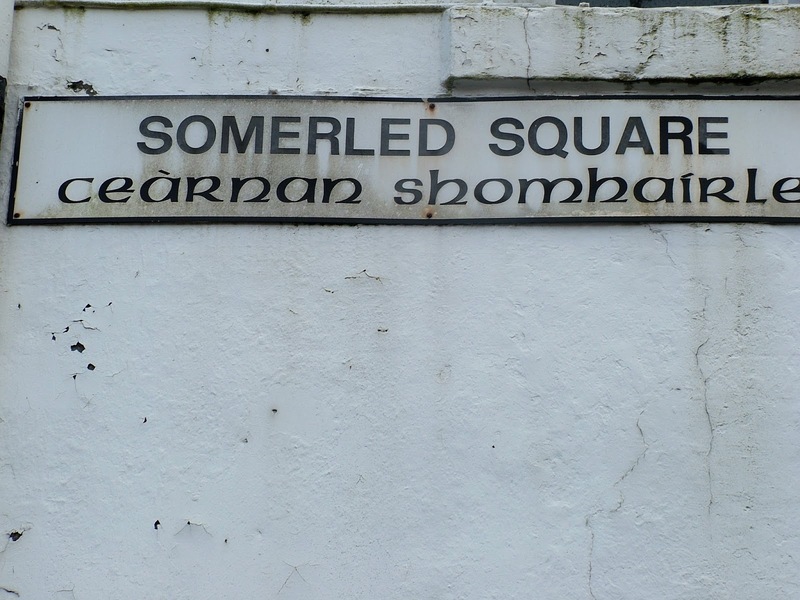 The Scots Gaelic (pronounced Gallic by the Scots) name is inscribed as ceàrnan shomhairle, the square of Sorley. Observing the juxtaposition of the anglicised and gaelicised versions of the Old Norse sumer lida evokes a sense of the Latin imperative quod erat demonstrandum. The most recognizable places in England which bear Scandinavian names end in –by..
Hoskins also mentions Wigstown in Leicestershire as being called “Vikings Tun” after a local Danish leader. He goes on to note that Norwegian settlement of the north-western English counties in the tenth century is apparent from the numerous thwaites of Cumberland and Westmorland. Against this background, the dictionary gives precise examples which reflect the anglicised version of the surname McSorley in some English place-names. Four settlements in three different counties derive from summer sailor and the name Sumerlida. They are Somerby (Leicestershire), Somerleytown (Suffolk), Somersby (Lincolnshire), and Somerton (Suffolk). The dictionary’s Somerleytown entry also refers to its Domesday Book listing which is Sumerledetuna, Sumarlioi’s tun. The Somersby entry, it says, is identical with Somerby. The Somerton entry refers to it as Somerledetun in 1046, Somerledetuna in the Domesday Book 1086, adding that it is identical with Somerleytown. 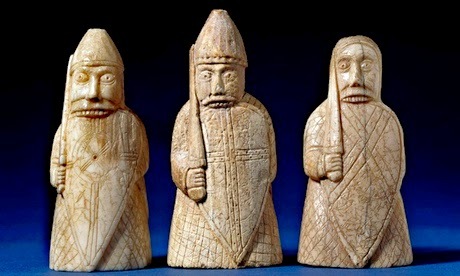 Reading this information reinforces the compulsion to visit the Viking exhibition in London. As if to complete a circle. I have also discovered a melodious connection to a modern-day Nordic version of the surname. The sleeve notes on the 2008 album “med sud i eyrum vid spilum endalaust” recorded by the Icelandic music group Sigur Ros, provide the name of one of the string players as Sulrun Sumarlidadottir. This talented daughter of a summer sailor also plays on the 2012 album Valturi. Preconceptions of Scandinavia are being challenged. It seems that the summer warriors famed only for being pillagers and rapists exhibited great talent in engineering, navigation, and the visual arts. Jonas Jonasson’s hilarious fictional writing likewise contrasts with what many see unfairly as an unremitting theme of bleakness portrayed as Nordic noir in Scandinavian film and literature. Anyway, if you have the time and opportunity to visit London, Veronese's 50 masterpieces are on show at the National Gallery until 15 June and the Vikings exhibition in the British Museum runs until 22 June 2014. Jonathon Bardon “Place names in the North of Ireland” p 2 NICLR. Patrick McKay “A Dictionary of Ulster Place-Names 1999 p 144 ISI QUB. Robert Bell “The Book of Ulster Surnames.” P 155. 1988. Robert Bell “The Book of Ulster Surnames.” P 182. 1988. Collins English Dictionary millennium edition p 627. “The name Somhairle and its clan” H Palsson, from “So Many People, Longages & Tonges,” Edinburgh 1981.